​"I am 53 and have always been lucky in that I could eat exactly what I wanted, had an active job, a dog who needed walking, and children to run around after so other than an occasional pilates or yoga class, I didn’t exercise but stayed trim and healthy. Fast forward several years to a desk job and grown up children, I discovered that not only is middle aged spread real, but that it had well and truly arrived! I had piled on 10 or so KGs and was really really, unhappy about the way I looked and felt about myself. It seemed like fate that I came across Mark’s advertisement and I just knew that this was my chance to take the reins and do something about my weight, fitness and health. From the outset, Mark was knowledgeable, professional and without judgment. I was recovering from a frozen shoulder and still had limited mobility as well as some pain. This made me very protective and at times reluctant to do all of the exercises. Mark was very patient and I quickly came to realise that he really did know what he was talking about and I completely put my trust in him. The sessions have always been at exactly the right level; gradually increasing in intensity but never more than is achievable. I have really surprised myself by finding that I now actually enjoy working out and look forward to my sessions. Mark’s nutritional knowledge and guidance has been brilliant and he has given me a much greater understanding of which foods best serve my body. It’s not a diet of deprivation, just making some changes to the types of food that I eat as well as when I eat them. I can honestly say that after just a few months I feel so much better. I’ve lost weight, gained muscle and have so much more energy. It’s not just physical health though; mentally I’m stronger, more self-assured, alert and happier. Thank you Mark for all that you do, you really have made a difference!" ​"My name is Dee Barber, I'm 71 years of age and am retired. My reason for signing up with Mark was I didn't want to be an old lady in 10 years time, walking with a stick and having a mobility problem. Before coming to Mark I felt drained, old and fat. I felt nervous and very unsure and my biggest concerns were: Am I too old to start training, what would he think of my shape and lack of fitness? I felt very self conscious not having ever been in a gym. Not knowing what to expect or wear. I felt extremely inadequate and worried about friends thinking I was silly or laugh at me, at what I was attempting to do. I felt embarrassed and very unsure of myself. I found walking difficult, which stopped me dog walking with my friends. I got out of breath going up stairs and always held on to the rail or stair in front of me. When walking I took small steps and was hunched forwards which gave me very bad posture. My knees were very stiff and I had to give up dancing which I enjoyed. I'd been thinking of doing something about it but not sure what, or where to go, as the thought of going to a public gym with lots of other people just scared me. So, after having spoken a year ago to a friend who had amazing results with Mark, I asked him for his details but I was still very unsure. Then, one morning I woke up and thought I just have to go for it! This took some courage, but I thought I'll just go and see if I like it and if I don't or I feel uncomfortable, I don't have to go back. After speaking with Mark at his free consultation, I felt I wasn't a complete disaster and there was a lot I could do to change my way of life. Mark gave me encouragement and made me feel completely at ease and took away a lot of my fears and anxiety. 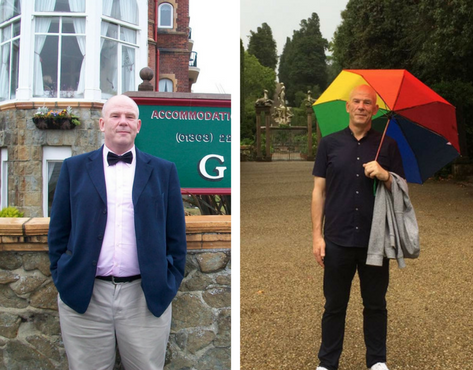 Mark started me on a programme of sensible eating (not a diet) and exercise which wasn't difficult to achieve and that encouraged me to keep going. I felt comfortable in just a baggy t-shirt and tracksuit bottoms (no need for special clothing). Mark made me start to feel good about myself, encouraging me through all the exercises. Now after just a few months I feel confident to wear proper gym wear. I am mentally brighter, happier and definitely fitter! I look forward to my gym sessions. I never thought I would be using weights and other equipment and even a bit of boxing (pad punching)! Now sessions are tougher but achieving a higher standard gives me enormous satisfaction, friends have even noticed a difference in my physical and mental health. Although, weight loss wasn't my priority, fitness and feeling better was. 3 Months later and I now weigh 75.1kg, my visceral fat has reduced from 13 to 11.5, my BMI has gone from 30.3 to 27.6, body fat 47.8% to 44% and my hips from 116.5cm to 110.1cm. I stand straighter (and when I went for a check up at the surgery, the nurse said my height had increased), walk better and have gone down to smaller trousers and dresses. I have more energy to do the things I like doing and importantly in the process of coming off my blood pressure medication as it has come down and stabilised. I've also managed to reduce my pain relief medication (for my neck following surgery) which I had been taking for 12 years. Hope to soon be able to stop taking it completely. I see this as a major change in my life. I can now run up and down the stairs without holding on and my general fitness has improved. I still have a way to go, but with Mark's help and encouragement, plus my determination, I know I will get there. So far I feel I have achieved a lot in a relatively short time. I'm looking forward to the next few months working with Mark and achieving my next goals. I never thought I would ever use a personal trainer, but having done so I know I couldn't have achieved what I have without Mark's help and guidance. 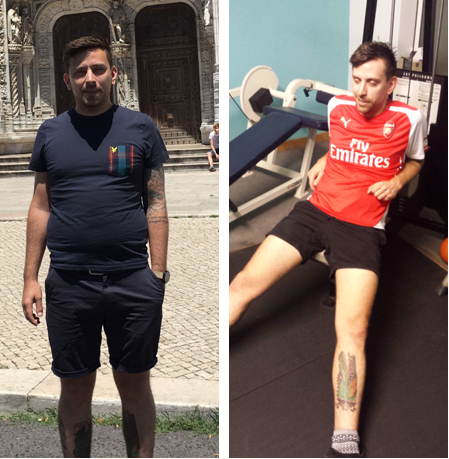 "I never would have thought I would look forward to a gym session but with Mark’s support and encouragement it has changed my life in such a positive way." ​I am Stephen, a man of a certain age. I work for a local authority as a member of the management team in Learning Disabilities residential home – hours can be long and stressful. I would always use work being stressful as an excuse to eating junk and lots of treats. I would say "well it’s going to be a tough shift" or "that was a tough shift I deserve a treat". Enjoying my life, friends and family is so important to me, as is being active in my community. I always have an amazing birthday week and one year I woke up and thought the world needs more of me and I should not die early from a heart attack. I also started to lust after someone. I was obese, unfit and felt old, not that anyone would say. I started my own strict diet without any input from anyone else and I started to lose weight but I looked really old and flabby – I knew I needed to train or I would just be an old, flabby man and not what I wanted to be. I felt old and very fat, and would just buy clothes in an extra size. My biggest fear was not being able to do it – the sense of failure before starting. What if I could not do exercise at my age and size. I did wonder if a trainer would understand me and what I wanted. I was so fat and my weight topped at 18 ½ stone (117 kilos), XXL sizes in clothes. I would not do any fitness exercises and I would perspire like a flowing river even at the thought of exercise. I also knew I did not want to train in a public gym or go running in public. That would have stopped me before I got started. Mark having a private gym is amazing. Mark has so much confidence in me and my ability to train. He knows my body more than I do. When I think "no-way", Mark will encourage me. I achieve and feel so fabulous and feel a great sense of achievement after a session. 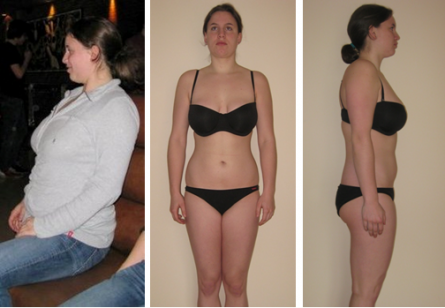 I see changes in my body and I still get the wow factor at seeing bones, hips and muscles that were once covered by fat. I look younger and fitter than I have ever been. I look amazing now in clothes that actually fit. I am no longer self conscious looking in a mirror which is so unbelievable for me. I feel I can conquer the world, and my confidence when I walk in a room is so high. I look forward to my sessions as it’s me time. I attend a Dance Class weekly on top of 3 sessions with Mark and I have a new zeal for life and I am so much more happier with how I look. I have dropped 3-4 sizes in clothes and my metabolic age dropped by 17 years after being with Mark for a year. I never would have thought I would look forward to a gym session but with Mark’s support and encouragement it has changed my life in such a positive way. "The 'new' body gave me quite an ego boost and I'm not feeling bad any longer if I look into a mirror." With a body weight of 85 kilos and a height of 5'10 (177 cm) I had a BMI of 27.1 which is considered as overweight. - And that's exactly how I felt! Being 21, I didn't want to be out of breath after walking a few steps or riding my bike to Uni. I used to be pretty fit and seeing me losing control over my body didn't feel good. My tummy was flabby, my face looked more and more like a full moon and my bum hardly fitted my jeans anymore. It felt like whatever I did to lose weight, it didn't work. I even had plans from personal trainers which I followed for ages. No results though. Moving from one place to another in the world every other month didn't exactly help to get my head around my personal well-being since I had other things to worry about in the first place. Since I had no idea how to train effectively and achieve my goals I asked Mark for help. And I got it! 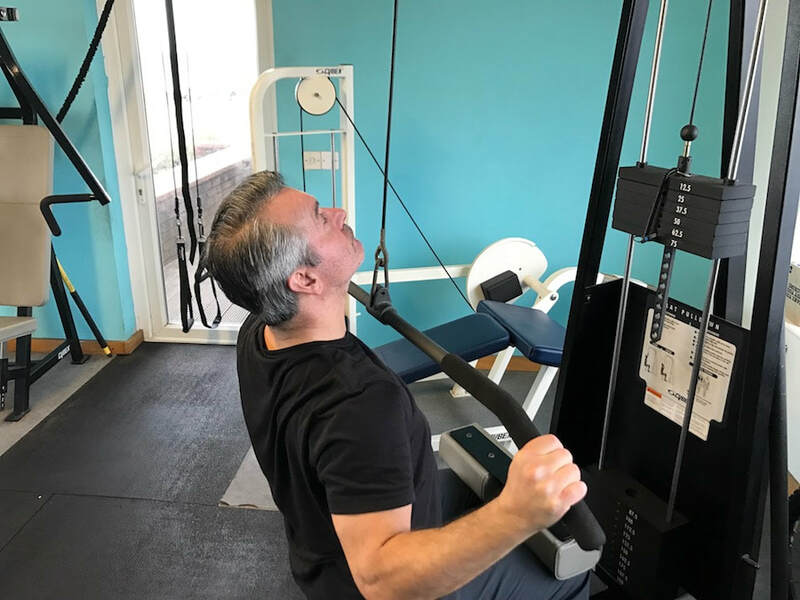 Mark explained to me in great detail what I was doing wrong so far, why I had the feeling I wasn't able to lose weight and most importantly why all the other exercise plans I had didn't do anything but give me square shoulders. He understood what I wanted to achieve in the next months and put together a plan on what to do and how to do it. The great thing was he didn't only give me the plan but he explained to me why I should do it this way and not any other way. It all made sense to me now and wasn't just a stupid routine I was following. But not only was the exercise plan important, he also made me reconsider my whole diet. I'm usually not a big fan of diet changes but Mark told me to give it a try. Mark was confident in what he was doing and convinced me of his knowledge afresh every day. The plan I got was quite easy to follow and I never had the feeling of being under or over trained. I guess that was because it was individually made to measure me and to give me the right amount of exercise based on my fitness level. I'm not saying he made the plan too easy for me. I had to push myself almost every time to pull through with the plan and not give up half way through. But it was worth it. I lost 10.4 kg in 6 weeks and it's still going down. The BMI is down to 23.9 which is considered as normal weight. My tummy is getting less and less flabby, the full moon face is a decreasing moon face and I even had to get jeans in smaller sizes. Since I started working out my life changed completely. I have much more energy and feel better about myself. Once I got the gym into my (almost) daily routine I actually started missing it when it was closed. My diet change had a great impact on how much weight I lost and I'm glad Mark was always there for support when I told him I wanted to have chocolate and couldn't because he told me not to. "Mark has been a true inspiration and gift to my life!" I have been overweight most of my adult life and have been to diet club after diet club with no real lasting success. 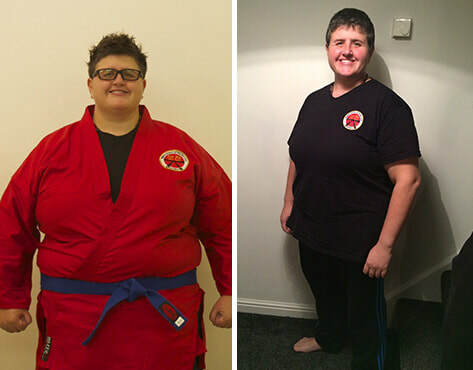 I began working with Mark 15 months ago and have managed to lose 8 stone! Mark’s expert understanding has been instrumental in my transformation. In addition to being very knowledgeable in his field, Mark quickly understood my goals and has continually provided advice and varied programmes. He uses a holistic approach, incorporating flexibility, strength, posture, balance, endurance along with promoting a healthy eating regime. He is encouraging without being “soft” on me. He constantly motivates me to move through the difficult moments. Most importantly – he ensures I am doing the exercises correctly and reinforces how it will benefit. The results have been significant. I am happier, leaner, more toned and far fitter than before. Even my friends and colleagues have noted the difference! I would not hesitate in recommending Mark to anyone struggling with weight loss he has been a true inspiration and gift to my life. "I don’t have to breathe in anymore when someone takes my photograph. My 38” trousers are seldom worn and only with a belt." Starting stats: Age 51, Height: 5ft 10” medium build, Weight 90.2kg, Body Fat 29.2%, Muscle 60.7kg, Metabolic Age 66, Visceral Fat 13.5, Blood Pressure 152/91, Waist 96.7cm. This was a real eye-opener because not only has Mark understood my objectives (and injuries) but he also continues to make the sessions interesting to the extent that I’m not going through the same old routine every time (like I did at the gym). It means that different body parts go through various exercises and I therefore get stronger and fitter all over. As with the readings above, it’s what you don’t see that is equally if not more important than the improvements in your physical shape. For example through working with Mark, I have lost weight initially (fat) but then gradually gained it with muscle. I’m therefore able to consume more calories each day without putting on weight. Before I felt sluggish and tired. Now I have a lot more energy and confidence in how I look and how my body is functioning. It’s also supported my diet in the way that I eat during the day and not succumb to the likes of cakes, chocolate, crisps etc which are more of a treat than a daily snack. I don’t have to breathe in anymore when someone takes my photograph. My 38” trousers are seldom worn and only with a belt. Whilst my toes still restrict some movement I can still do most exercises and often do so at home in between sessions with Mark. There are so many simple but effective workouts you can do at home in a small space without the need for specialist equipment. I wouldn’t have thought about this until meeting with Mark and taking part. ​"I knew I could either wallow in self-pity, or do something about it." My main goals were to lose my gut, feel physically and mentally stronger and gain a bit of muscle. From working in an office for 5 years with no physical activity routine, I was feeling permanently tired and drained. As my metabolism had been slowing down, I was putting on quite a bit of weight. In turn, this damaged my body confidence and overall was negatively impacting my mental well-being. I knew I could either wallow in self-pity, or do something about it. After being skinny most of my youth, I had developed an oversized gut into young adulthood. When I started seeing Mark, my weight was 95.3kg, with body fat at 26.2%. My waist was the largest it had been my whole life at 36 inches and I’d get in a sweat just doing general basic household activities. Overall I was lacking energy and finding that I ‘couldn’t be bothered’ to do simple things. Mark listened to what I wanted to achieve and came up with a simple to follow nutrition plan and exercise routine that would help me get there. Most importantly, Mark has been motivating me to make these routines habitual, rather than a momentary fad. I feel mentally and physically sharper. I now have energy throughout the day which has improved my performance at work. Day-to-day tasks no longer feel like a chore, and the improvement I’ve noticed in my physique has improved my love-life. I’m now able to fit into 32 inch waist trousers & jeans, my gut has all but disappeared and my BMI is now considered ‘healthy’ – with my weight now down to 84.4kg and body fat at 20.6%. I recently got involved with a charity run which I wouldn’t have had a hope in doing before any of this. There have been a few positive side-effects from this as well, for example my blood pressure and heart rates are lower.